Some transportation advocates favor a route that would go along Lamar instead. But the project's lead, Kyle Keahey, says funding is a key factor in deciding the route. "The East Riverside and Highland sub-corridor is where we found the best opportunity for us in receiving federal dollars," Keahey said. The hope is that the project appeals to the Federal Transit Administration enough that it picks up half of the cost. 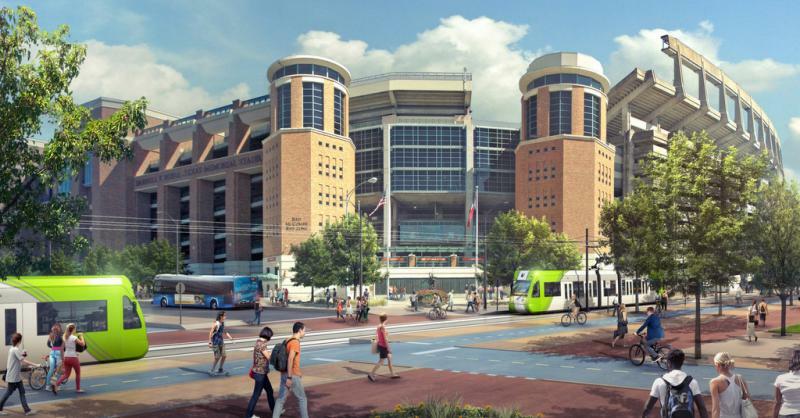 Austin City Council Member Mike Martinez, who also chairs Capital Metro's Board of Directors, wondered if a new route could be considered. 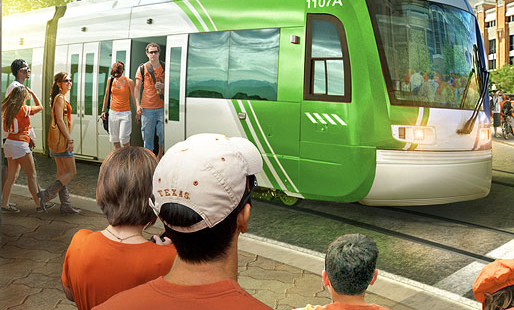 He asked about one that would go from the airport to the UT campus. Martinez said he wants "to make sure we've done everything we can to ensure this is the best proposal, not just from a transit perspective, but from gaining the necessary community support." The city council will vote later this month on a measure to put the rail proposal on the November ballot.